...And Getting The Industry-Lowest Clicks In Specialist Niches. Underground Method That Saved It? YES! Send Me My Free Mini-Media Buy Course! Good Day, Fellow Traffic Enthusiast! Have you ever asked yourself a question like this? "How do I generate a constant stream of fast, scalable, profitable traffic ...with as little time, effort and expense as possible?" If you have, you'll be truly excited by what's coming up on this page... And if you're asking yourself that question right now... you're in luck! ...it's now being taught at Baylor University (The #2 School For Entrepreneurship In The United States) to its own entrepreneurial students... with the help of Michael Hardenbrook. Michael is a Mentor at Baylor University and also Co-Founder of Knowledge.ly. 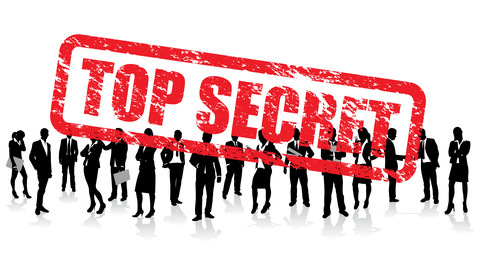 I've managed to recruit Michael and his team of "Traffic Titans", who are ready and able to pass on their most powerful secrets, their most cutting edge tools and overall Traffic Mastery on to you. This group includes men who've made millions of dollars with these methods... and these same methods let you start small with $100/day profits and scale up to wherever you want to go. Getting traffic can certainly be frustrating. No matter what you’re doing to achieve your freedom and success for your business online, be it adding zeros to your bank balance, or living “The Internet Lifestyle”… traffic is an absolute requirement. SEO – I’m a big fan of SEO, but the reality is it can take months to achieve profit-driving results and you relinquish control of your traffic to an ever changing algorithm. Most SEOs end up fighting over the low competition scraps, as higher value and higher traffic keywords are too competitive and difficult to rank for. AdWords Search PPC – While it brings some of the most targeted traffic in the industry, high competition and strict rules have made it a difficult platform to advertise on. If you do have the patience and skills it can be a great platform, but it’s not for the beginner. Solo Email Ads – This can work well at times with a quality provider, unfortunately it’s pretty tough to FIND a quality provider who’ll send you real clicks that convert on good offers long-term. Solo Ads have also become more expensive as increased demand has driven up the price. Facebook Ads – With such a big audience the popularity of the Facebook ad platform is growing rapidly. It is definitely a platform you can get results on, but the process of approving your ads is becoming more difficult and random, and rising competition is pushing up the price of your traffic. You’re also required to do lots of work creating new and interesting ads due to the high ad exposure and burnout. Each of these methods did AT ONE TIME work very well for just about everyone. Unfortunately, as with most good things, everyone jumped on the ‘easy money’ and saturated the market, so each method has begun to lose its ease and effectiveness. Media Buying However… Survived The Test Of Time. Media Buying and Mini-Media Buying is purchasing space on other websites, usually in the form of a Banner Ad… and you may already know, Banner Ads have been given a REAL bad rap over the years. Well… Banner Ads were really popular in the late 90s to the early 2000s and because they were so popular, the price of banner ads was also ridiculously high. In some cases you’d even see pricing as high as $100 per 1000 page views! The problem was, very few people actually clicked on those banners, so people were paying a lot of money for little return. As such, Banner Ads got a bad reputation and people turned to other forms of paid advertising, like Google Search PPC and more recently Facebook Ads, which were far more cost-effective. So Why Are There Still Banners Everywhere? Where Ad Space might once have been $100 for 1,000 views, now it’s closer to a small few dollars and often only a matter of pennies. This makes Media Buying really cost-effective and lowers the barrier to entry, so anybody can get started with really low risk. In fact, if you’re doing it properly (like the Traffic Titans do), you can turn a profit very quickly using these Media Buys to fuel your traffic. And as for the ‘performance’ issue of nobody clicking those ads… it’s simply not true. While the Click-Through Rates tend be lower than with some other traffic sources… advertisers pay so much less in comparison, it’s much easier to scale and make up the difference with volume. Not to mention… we’ve got plenty of tricks up our sleeves that help increase clicks to your ads, as well as the new software we’ve just added that boosts Click-Through Rates by 25x! What Made Media Buying So Profitable Again…? This biggest problem with Media Buying used to be how difficult it was to target the people you wanted to. Today, the technology surrounding how you buy Media Ads has come such a long way it’s now easy to target particular sites and particular niches for more clicks and better conversions. 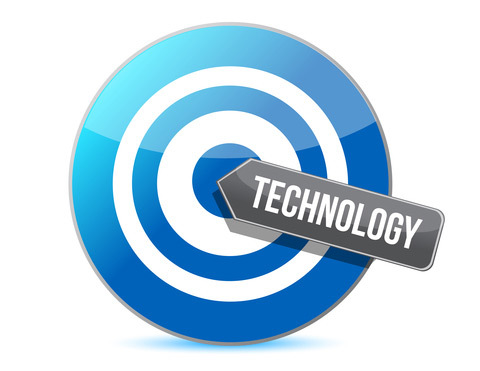 In fact, it’s now possible for people who’ve never performed a Media Buy before to get into it right away and use this technology to target very specifically, manage their budget and see great returns on their investments. … that’s what The Traffic Titans are showing you Step-By-Step with Nothing Left Out. The “Original” Media Buy Academy was so powerful it’s now being taught to a lucky few at Baylor University... This New Upgraded Version though, is even more powerful. "How Are You Able To Drive Millions Of Targeted Visitors Without Losing Your Shirts In The Process?" … but how are we actually making this traffic work in such a way, and in such volume, some have been able to generate enough capital to build multi-million dollar businesses (complete with employees, fancy offices, perks and overheads etc.) completely from scratch? We’ve Shared Our Collective Tools, Skills And 80+ Years Of Combined Experience To Create A Method That Generates Jaw-Dropping Results With Minimal Risk! … just that you could if you wanted to. With this method, how high you take your media buying profits is in your hands, and the best in our industry are here beside you to guide you through your exciting journey. All that remains is for you to focus, take action, and make progress towards your financial goals. It doesn’t require a massive ad budget to make it work either. … Or Anything You Want To Sell Online! The Available Volume Makes Finding Hidden Gems Of Profitable Traffic Much Easier! Because competition is the biggest pitfall of most traditional traffic methods, the Traffic Titans decided to share their methods with others who could use it. …if only they had the ability to drive the traffic they needed. This lets you generate a vast ocean of quality, scalable traffic and have it totally under your control, so you get the fastest results, with the freedom and peace of mind no other traffic source or methodology can. Media Buys are more stable than many forms of traffic, with more consistent, long-running campaigns due to your ads being shown to new people each day. With ad platforms like Facebook, you often end up targeting the same visitors over and over again, resulting in ad burnout, so you end up replacing your ads often… sometimes as often as every single day, which is a lot of work. With Direct Media Buy Evergreen Campaigns, which are covered in this course, you’ll enjoy much more control over scale and consistency. With the traffic you get from media buying, in many cases you’ll know within a matter of hours whether your campaign will be profitable, or whether certain changes should be made to MAKE it profitable. And because you now have such control over the targeting of your traffic, you don't have to spend a lot of time worrying "Maybe the right people just aren't seeing my ad"… because you’ll know they are! 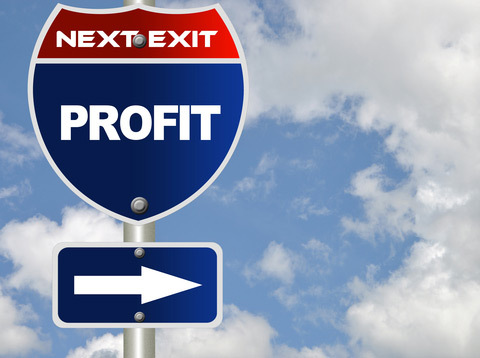 That’s more peace of mind, less complication and the ability to reliably improve and maintain your profits. We all have different budget sizes and we all have to start somewhere. ‘Reloaded’ Media Buying shows you how to get the cheapest clicks and doesn't require you to meet high priced minimum spends in order to compete. 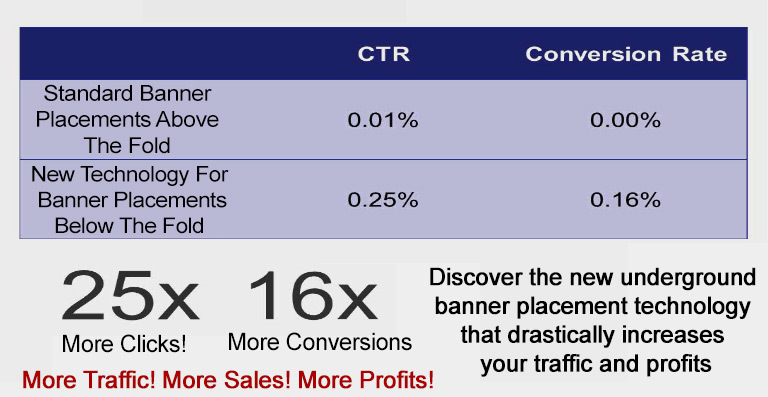 We’re talking as low as $0.004/visitor in wide appeal niches and the industry lowest clicks in specialist niches. You get your ads seen in the same places, in front of the same audiences as companies and other media buyers who are spending $60,000 a day… for less than $50 and scale up from there. This is one of the last places online where the New Starter and the One-Man-Band can enter the market quickly with small campaigns and scale up. If Media Buying is now sounding like the right method for you to get fast, scalable traffic… it’s time to figure out exactly HOW to get started. When I first got started with paid traffic myself, I lost over $3,000 doing it the wrong way! This was many years ago, and I now utilize paid traffic effectively and profitably. Many others aren’t so fortunate and lost a lot more than I did, by doing things the WRONG way. Fortunately now, with Media Buy Academy Reloaded… not only do you see step-by-step the RIGHT way to run Media Buy Traffic… you can step in with minimal risk $20-$50 Mini-Media Buys! TODAY… you effectively eliminate the ‘learning curve’ as you receive all the tools, principles, methods and strategies PROVEN to work by The Traffic Titans. Michael Hardenbrook gathered a group of 12 Of The Top Traffic & Conversion Specialists in the world together to bring you a Complete Traffic System delivered via 70+ Video Lectures that allows you to enjoy the same kind of success, step-by-step, letter for letter. Michael is the Co-founder of Knowledge.ly and is also a Mentor at Baylor University, The #2 Ranked School For Entrepreneurship in the US. Michael is a regularly featured Top Instructor on Udemy, so you can be totally assured he is among the best in the world to show you precisely what’s needed to generate profitable traffic, while ensuring you have everything you need to take action. Max has been working in the online advertising industry since he was 15 years old. He made millions of dollars before he was 20 as an affiliate, promoting offers through Media Buy Traffic. Max is now the Co-Founder and COO of WhatRunsWhere, an incredible research tool for Media Buyers… so he can certainly tell you how to find out exactly what’s working and what’s not, so you can create more profitable campaigns, sooner and more often. Ratko has 15 years of experience working in direct response marketing both in small-scale, ultra-efficient startup environments and large-scale, big-spending corporate environments. Ratko works with advertisers every day as the Director of Marketing for the SiteScout.com ad network, so you can count on him to reveal some of the most effective and cutting edge methods in the industry. Oli is the Director of Marketing for Unbounce, an awesome landing page creation tool, with over 13 years of in-field experience with interactive web design for marketing. Oli spends a lot of time studying and writing about conversion-centered method and design, and is actually the voice of the highly praised Unbounce Twitter account… so this is the guy to go to when you want to increase the sheer number of sales using the same amount of traffic! Ilya has also been involved heavily in performance marketing since 2007 and is also the CEO of MixRank, a powerful market intelligence solution for Media Buyers. Ilya is a frequent blogger, speaker, advisor and mentors to entrepreneurs all over the world, who knows how to drive enough traffic to breathe life into web startups of all kinds… so his ability to pass on valuable, actionable and profit-inducing knowledge and experience is first rate. Ryan has been involved with several online startups, including HubPages.com and he now works with another trailblazing startup called BuyAds.com. Ryan is involved with the traffic generation process every day, working with both people seeking traffic and those who have it to give sell. He’s the man who can show where to find the best places to advertise for quality traffic, while spending as little as possible. Myles Younger is the co-founder of Canned Banners, as well as being its current head of marketing and business development. Myles effectively spreads the word of Canned Banners’ unique approach to automating and streamlining display ad design. So when it comes to producing ads that get clicked and drive up your ROI, he’s the man with the plan! Nana is a developer, marketer and entrepreneur who started his first online business at the age of 16… and by age 18 had already been published in two separate books. Nana became CEO of Tracking202 in 2010 with a mission to regrow the company, which he did superbly as it is now considered by many as the #1 tracking application for performance marketers. 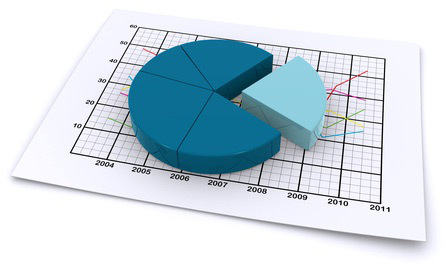 He will tell you precisely how to control the best data, to make the most profitable decisions. Nathan is a full time marketing and growth consultant, as well as the co-founder of Outlisten.com, an innovative new media entertainment product in a very competitive industry. Nathan has studied and observed the deeper psychology of people, their preferences, their behavior, motivations and incentives to better understand how they react to businesses and their messages… so you can be sure to discover some real ‘ninja’ conversion techniques from him! Alex is known in the affiliate circles as “The Angry Russian”, and has helped hundreds of affiliates and online marketers embrace mobile as a viable traffic source for driving result driven campaigns. Alex has been in the affiliate marketing and direct response space for over 6 years. Focusing exclusively on mobile for the past 2 years in a number of popular niches has helped Alex develop a methodology that will help you succeed with mobile traffic, for profit and scale. Scott is the Customer Success Manager at Perfect Audience where he helps ensure when you’re using this Retargeting Software , you enjoy the absolute maximum results from your traffic. Scott believes that every business, large or small, can easily improve its ROI by effectively personalizing its marketing to its target audience and by using tools like Perfect Audience, you have the ability to target the right people, with the right message at the right time for unprecedented results. Chris led creation of the unique Wookle Viral Traffic Tool and has succeeded well with multiple traffic sources, including Viral Link-Bait, Media Buys, SEO, Affiliate Traffic, AdWords, PPV and Facebook Ads. Chris has used these traffic methods to reach in excess of 20 million people through his various online ventures, and has driven over 100,000 sales online as an affiliate and vendor. He knows traffic and especially knows how to get it for maximum results with minimum effort. Media Buy Academy Reloaded Is The Only Traffic Course In The World To Contain Over 80+ Years Collective Experience, Be Born From So Many Millions Of Dollars In Testing… And Still Be Accessible Enough To Create Multiple $100/day Incomes! "The third course I’ve used from these guys. As always, impressed by what’s offered... Practical skills, presented in an approachable manner, with application for both novice and expert users." "The Knowledge.ly material has most definitely given me a broader perspective of the marketplace and has challenged me in a good way. Learning and implementing the information has set my company up for success. This entrepreneurial education was worth the time!" WHAT EXACTLY DO I GET WITH MEDIA BUY ACADEMY RELOADED…? A Step-By-Step Walkthrough Of An Actual Campaign so you see how a successful Media Buy is put together to make your first Buy much easier! Two Critical Steps Most Media Buys Miss which make your media buys more profitable and give you extra firepower against your competitors! A Handy “Cost Per Impression” Calculator to make sure you’re getting a good deal for your Buys and saves you plenty of time and headaches! Over-The-Shoulder Competitive Analysis to see how The Pros are finding winning ads time and time again, eliminating 99% of the guess-work! A Quick Trick that lets you find high converting offers so you can effectively ‘piggy-back’ successful campaigns for fast-turnaround profits! 2 Common Mistakes with Retargeting Campaigns that cost other Media Buyers their profits… but not you! How To Track Direct Linking Campaigns so you are never missing out on sales or opportunities to reduce costs and increase profits! The key to any traffic generation effort is knowing your audience, and where to find them… the better you know… the greater your advantage. Most regular Media Buyers use software for this kind of research. Traffic Titans Don’t Do This! Metriked combines the Customer Data used by Alexa, Quantcast and Compete, shows it in one place, and provides massive convenience and plenty of time saved. … You Get LIFETIME ACCESS for FREE! And That’s More Profit Made… by knowing exactly where to find your perfect audience, increasing the effectiveness of ALL your Media Buys! I’ll be including this top-secret method, a method I’ve never before revealed to anyone… on how you take everything you gain from Media Buy Academy Reloaded and drastically improve your results by implementing "Invisible Ads". This extra training will show you how to decrease your ad spend while still enjoying optimal results. Due to the scarce and highly sensitive nature of this method, I can’t describe it in any further detail here… You’ll have to invest in Media Buy Academy Reloaded to find out more and profit with it yourself. You’ll see this new technology, which you can use for free, designed to increase the clicks to your ads by 25x, and ultimate conversions by 16x bringing you exponentially more profit for zero extra effort! Live Seminars and 1-to-1 Coaching Sessions can reach $10,000 per attendee and that’s without factoring in time, travel and living costs for the while you’re in attendance. We could have followed suit… but how would that really help you? Not a single person who contributed to this course made their fortune and success without thinking about others and how to enhance the lives of others. And so with Media Buy Academy Reloaded, we believe the best way to enhance your life is to make this course available to you at the lowest price it’s ever been available for, online, ever. I cannot stress enough the immense value and real world acclaim inside this training program. Never before have so many Traffic & Conversion Thought Leaders agreed to reveal so much about their own traffic generation and business strategies. It’s unlikely you’ll ever get All 12 Traffic Titans in one place again, sharing this much intensely valuable and actionable traffic information, and I don’t want you to miss it. … OR 100% YOUR MONEY BACK! As You Order Your Membership To Media Buy Academy Reloaded Today, You’re Automatically Backed By My Famous Munchie 30-Day, Iron-Clad, Money-Back Guarantee. Put simply… if Media Buy Academy Reloaded doesn’t completely "wow" you, or if you’re unsatisfied for ANY reason, then simply let us know what the issue is and if we can't come to a true solution you're absolutely happy with… we'll refund you every penny. It’s our firm belief you won’t look back though, as Media Buy Academy Reloaded contains all the material needed to get you through your first high-profit year of Media Buying… with Baylor Students usually setting aside a year for the course and being thrilled with the results as you can see below! "As both a student of the Accelerated Ventures program at Baylor University and being experienced in the direct response industry, I can honestly say that this course provides for people new to media buying and to those who have done it for years." "I am very much a student of media buying, add campaigns, and marketing. Reading blogs and watching YouTube videos have only gotten me so far, and the material offered by Knowledge.ly is exactly what I needed to make further progress with my future campaigns. For me, the lectures are definitely a missing link between effort and success, and I highly recommend the courses offered here. They are effective and possibly the quickest way to learn how to launch a successful add campaign." Nothing has stood the test of time better or more convincingly than Media Buys and Media Buy Academy Reloaded is the best, most comprehensive course available to get a person starting from scratch to generating numerous $100/day incomes ASAP. I hope by now you appreciate the need for a new approach to traffic generation, which isn’t led by the masses or saturated by competition. Media Buys are about Driving Massive Traffic on your own terms and under your control. If you’re sick and tired of struggling for scraps, and want a time-tested, battle-proven strategy that blows your competition to dust… Invest in Media Buy Academy Reloaded Now. P.S. Alternative traffic methods have, in most cases, become too competitive and as a result, too expensive to make a good profit over the long term… either that or they’re simply too slow to generate results without a long, drawn out effort. Media Buy Academy shows you step-by-step how to generate fast, scalable, targeted, low-cost traffic with the best software tools (some have even been provided to you for free as a bonus!) and the combined knowledge of a team of Traffic Titans with over 80+ years of combined experience in the field. While this offer is open, it is your best chance at driving a successful traffic campaign in the shortest time possible, with the bare minimum of expense. One you set up your first $100/day income stream… it’s entirely up to you how many more you create with the exact same principles and methods. P.P.S. Ignoring the opportunity in front of you now essentially seals your fate and the fate of your business, to weeks, months and possible even years of sub-optimal results, wasted money, wasted time and the risk of you giving up on your dreams altogether. It was no small task bringing these incredible minds and experts together in one place, for the sole purpose of sharing the BEST of what they have to offer with you, from their many years of experience, and millions of dollars spent on trial and error… so you wouldn’t have to. 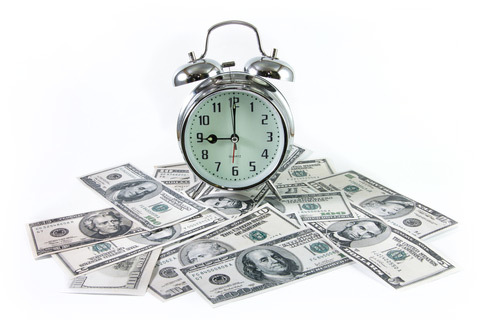 If you aren’t already generating a satisfactory level of traffic, and you don’t already possess the ability to create multiple $100/day income streams… the decision should be an easy one. 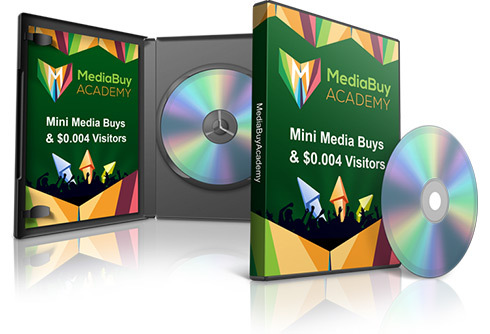 Join Media Buy Academy Reloaded. You’re totally covered by my very own Iron-Clad 30-Day Money-Back Guarantee should you find a problem with the course, and our support team is 100% dedicated to ensuring your happiness and satisfaction with your investment. You’re in safe hands… trust your instinct and invest in Media Buy Academy Reloaded. Put an end to your traffic worries once and for all.